McCallum Bagpipes made from African Blackwood. McCallum Bagpipes is the world's favourite Great Highland Bagpipe maker. 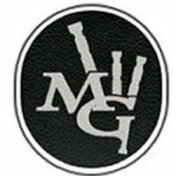 We offer the full range of McCallum Bagpipes and each bagpipe is personally selected to ensure that only the best of the best is sent to our customers. Whether you are a serious competitor or just plain serious about the bagpipes you play, our choice of instruments harness luxurious refinement and unrivalled craftsmanship with uncompromising sound quality that only a set of McCallum Bagpipes can produce. Every budget is catered for in our exclusive collection of bagpipes.